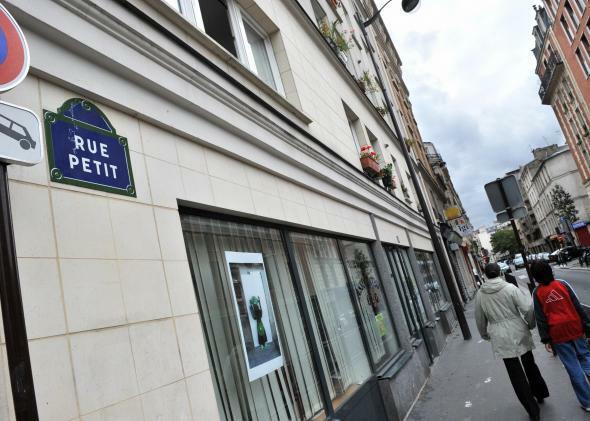 Paris no-go zones: What life in Pont de Flandre in the 19th arrondissement is really like. The Rue Petit in the 19th arrondissement, near Pont de Flandre. On Monday, Louisiana governor and would-be presidential candidate Bobby Jindal gave a speech in London in which he described parts of Western Europe as “no-go zones,” where “non-assimilationist Muslims establish enclaves and carry out as much of Sharia law as they can without regard for the laws of the democratic countries which provided them a new home.” Such “no-go zones,” a fictional conceit of paranoid xenophobes, have been in the news ever since, in the wake of the Paris attacks, Fox News interviewed two self-proclaimed terrorism experts named Steven Emerson and Nolan Peterson, who claimed that several neighborhoods in Paris and other European cities operate under Sharia law. Fox & Friends illustrated this claim with a ludicrous map that highlighted eight of these Parisian “no-go zones.” Fox later apologized for its “serious factual error,” but apparently Jindal’s speechwriters didn’t get the message in time. I was part tickled, part chagrined to see that one of Fox & Friends’ seemingly arbitrarily chosen no-go zones was my old, beloved neighborhood, Pont de Flandre in the 19th arrondissement. I lived in Pont de Flandre in 2007 and 2008 when I was studying abroad for my junior year of college. It’s the awkward little zigzagged dodecagon in the northeast part of Fox’s map; as far as I can tell it’s bounded on the east by the Avenue de Flandre, a large thoroughfare, and contains the Résidence Michelet, a public housing project of 16 high rises. My old building was right across the street from the Résidence Michelet, on the other side of the Rue de Cambrai. There are some parts of the 19th arrondissement that have been considered cool, with vegetarian cafés and open-air bars, for several years. Pont de Flandre isn’t one of them. However, it remains one of my favorite parts of Paris. And in contrast to Jindal’s description on CNN of “neighborhoods where women don’t feel comfortable going in without veils,” non-Muslims, including women, are not only safe there, they live there in abundance. I ended up living in this part of the 19th arrondissement somewhat by chance: I had spent a few months living unhappily with an indifferent host family in a Haussmannian building just across the river from the Eiffel Tower. When I told my study-abroad program’s housing coordinator that I wanted to move out and live independently, he suggested the place on the Rue de Cambrai. It was in an area I’d never been before, but the neighborhood immediately appealed to me, with its bizarro structuralist architecture that looked more like Berlin than Paris. If most of Paris felt like a museum, full of stately old buildings that were meant to be seen but not touched, Pont de Flandre looked like a place for living: utilitarian, diverse, pragmatic. Best of all for someone who was pretending to be a real Parisian, there were no tourists. Unlike most other parts of Paris, you could walk around the neighborhood all day and never hear a word of English, though you might hear some Arabic or Chinese, or otherwise heavily accented French. And as far as it was from the center of town, everything I needed was within walking distance: There was a mediocre bakery just around the corner (and a better bakery a few blocks south), a decent outlet of the grocery and drugstore chain Monoprix, a fantastic Lebanese restaurant whose owner gave away desserts for free. Just a few blocks away was the Canal de l’Ourcq, with jogging paths, public art, and green spaces along the water. Of course, just because I lived very happily in Pont de Flandre for less than one year in college does not mean that everything there is peachy. Several months after I returned to New York, violence between rival gangs in the Résidence Michelet brought police in riot gear to the area. Pont de Flandre has much higher poverty and unemployment rates than most of Paris, especially in the housing project. And the area is certainly not immune to the social and racial tensions that can crop up when different immigrant groups share a small amount of space. In part due to these tensions, some of the neighborhood was labeled a “sensitive urban zone” by the French government in the 1990s. It would be the height of arrogance for me to assume that living in Pont de Flandre for a very short period of time gave me an insider’s perspective on the neighborhood. But I can very confidently dispel the claim that the area is “no-go zone”: I felt very welcome there as a white American from a Christian background. I never even thought of it as a Muslim neighborhood. I just thought of it as an ethnically and economically diverse neighborhood, and to me, it felt more like home than any other part of Paris. Yes, my experience living there is a little out of date, but when I visited Paris this past June, I walked around my old neighborhood after dark, and it didn’t feel like much had changed. The next time I return to Paris, Pont de Flandre is one of the first places I’ll go.